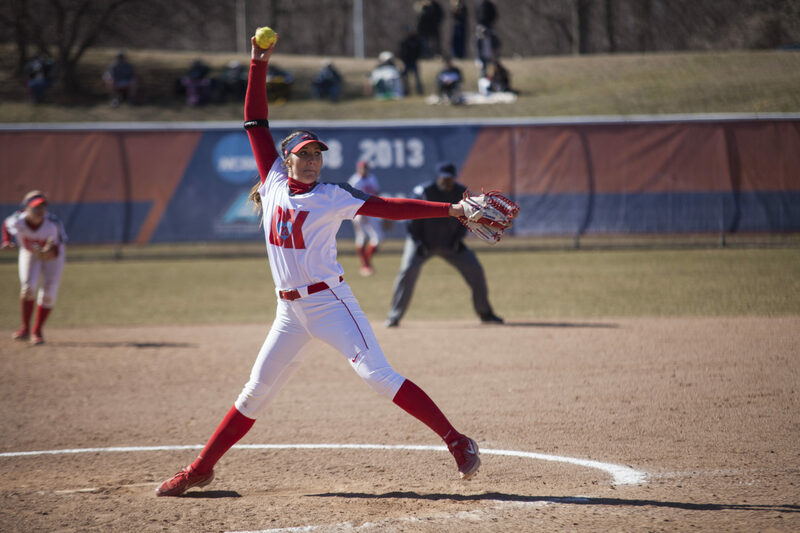 The Stony Brook softball team won its first conference series of the season on Sunday, March 31, winning two out of three games against Hartford. Despite a tough 4-1 loss in the first matchup, Stony Brook came back and dominated Hartford the rest of the series with two 9-0 wins. Games two and three showed junior pitcher Melissa Rahrich and freshman pitcher Shelbi Denman’s pitching prowess and how explosive the offense can be. The Seawolves scored a run in the first inning, but let up four unanswered runs to the Hawks the rest of the game. Stony Brook only had four hits during the game, with senior catcher Irene Rivera picking up two and senior outfielder Katelyn Corr scoring in the only run. The team rebounded in the second game of the doubleheader, scoring three runs in the first inning and not letting up. Denman pitched a shutout to Hartford in game two to give herself a 4-2 pitching record on the season. Rivera kept her momentum from game one and picked up three hits and three RBIs. The team got 11 hits during the game with sophomore infielder Nicole McCarvill, junior catcher Jordyn Nowakowski and junior outfielder Jourdin Hering each picking up two hits. Stony Brook took control of the final game of the series, winning by the score of 9-0 in just five innings. Nowakowski and Rahrich paced the offense for the Seawolves, with Nowakowski hitting two solo home runs and Rahrich driving in four runs. Rahrich also pitched a shutdown on Sunday, picking up her seventh win. McCarvill and Corr were also major contributors to the win, picking up three hits each. Earlier in the week, Stony Brook had a dominating 25-6 win at St. John’s in which the Seawolves scored five homers, a program record. Stony Brook now poses a 14-9 overall record and a 2-1 conference record, placing second in the America East. The team currently leads the America East in batting average (.303) as well. The Seawolves will return home on Tuesday, April 2 to face Wagner at 2 p.m. at University Field.